I already explained that control is what you want to look for in an environment of uncertainty like the stock market. Any certainty you can get your hands on will do to make a possible difference. That control happens to be found in the average size of our losses and the average profit of our successful endeavors. Don’t let a mistake turn into a problem. Sell your losses early. But put the pedal to the metal when everything is going your way. Don’t sell your winners. Buy more of them. Here’s how this can be live changing advice. Next to that, I also showed that how much we put on the line has an effect on both the volatility of our equity (the money we have) as well as the total amount of it at any point down the road. Talking about that, I promised to take a look with you at how what we invest doesn’t necessarily has to be what we risk. Here we go. Suppose GOOG (Google) is currently trading at $700 a share. Somehow you are convinced it’s a good idea to buy the stock. No argument here. Still you need to address the question of how much shares you want to buy. It’s mandatory information for any order we want to give our broker. So you must answer the question each time you want to put in an order. Most traders and investors, and their financial advisors alike, cope with this question by answering a different question: How much will we invest? Answering this brings them no further than ‘some part of, but not all, the cash we have’. Some take a percentage. Others divide their capital in equal parts. Still others use a fixed amount. This also brings about a certain necessity to use at least a fair share so it is worthwhile the effort. Everyone understands the uselessness of buying one share for, say, $10. The costs associated with such an effort would drown every possible profit. The funny thing is that people don’t bet the farm, just because of the associated risk with trading and investing. But at the same time, when it comes to investing, they approach the most important question of ‘how much’, almost haphazardly without any regard to risk. If you’re convinced you can’t invest it all because of risk, figuring out how much you can invest should be answered by asking that same question: How much risk are you willing to take? Let’s do just that, shall we? Back to the GOOGle buying idea. Let’s say we have $7000 cash and we want to risk 1% of that amount. That would be $70. Not an impressive amount. But stay focused here. $70 is not what we want to invest. That would leave us with not being able to buy even a single share. The price per share was $700, remember. We’re quantifying risk by cutting our losses. If we would cut our loss at, for instance, $665 (a 5% loss), then we can derive from that the number shares we should buy. For if we lose $35 a share and our total loss should be limited to $70, we should buy 2 shares. Let’s take a moment to get our heads around this. Owning $7000 from which we want to risk 1% (or $70), willing to risk 5% per share ($700 – $665 or $35), we can buy 2 shares of GOOGle. But buying those two shares, will cost us $1400, being an investment of 20%. Here you have it: what we invest doesn’t have to be what we risk! One remark I often get is that it seems irresponsible to put a large fraction, in the case of the above example 20%, of your holdings into a single equity. After all, popular wisdom and common sense has it that it’s wise to diversify. Allow me to go into that in my very next pulse. What we invest should be defined in function of what we want to risk. Not just by some arbitrarily chosen fraction or percentage. Define the total risk you want to take and divide it by the risk per share you ought to take. I use “ought” here, because, as I will explain later, there are different sensible ways to determine the risk per share we should put on based on a stock’s behavior. Don’t ever, ever, work the other way around by lowering your risk per share to be able to buy more of them. I’ll return to that as well later on. Let me throw in another little tweak. The total percent risk you put forward can be applied to the cash you have (defensive), the total worth of your portfolio (aggressive), or something in between by subtracting equity at risk from the portfolio’s total net worth. As an example: suppose you have 2 shares of GOOGle currently priced at $700 a share and you have put in a stop to get rid of them as soon as they would drop to or below $665. The equity at risk would be ($700 – $665) x 2 or $70. If GOOGle would rise to $715, that number would become ($715 – $665) x 2 or $100. Of course than you could raise your stop to, let’s say $685, to decrease the exposed equity to only ($715 – $685) x 2 or $60. But that, again, is another story. One more thing I didn’t mention are costs inherent to investing and trading (broker commissions, taxes, …). 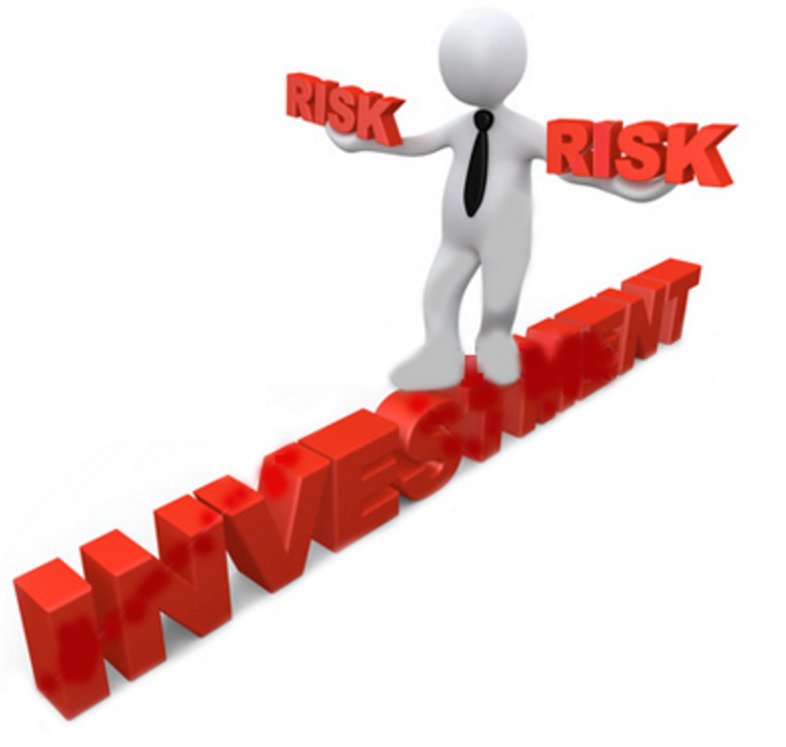 Those costs should be subtracted from the total risk before you divide it by the risk per share. But here’s the good news.We’ve made a nice calculator to deal with that and much more of such intricacies. As a last remark: the numbers above are purely to demonstrate principles. Good traders only risk 0.25% or less on a first position. Do not hesitate to show us where we can improve the article or make things clearer or just ask us questions about what isn’t. Please feel free to share this post, comment on it and link up with me. Do send me requests on what to write about regarding the stock market or ChartMill and how we can improve the site and its tools.